Sarah and I have been in the beauty industry for a combined 19 years. We’ve touched, tried and tested thousands of beauty products over the years and it takes a lot to surprise us. 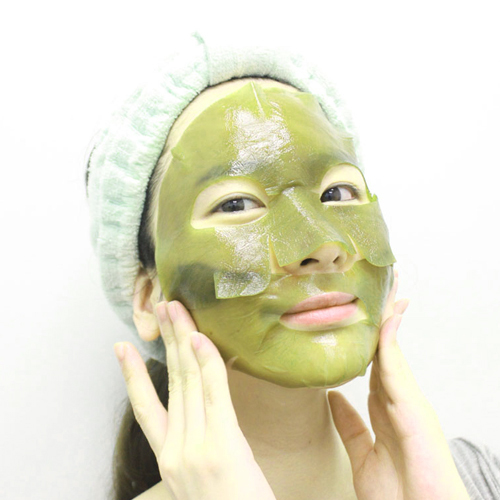 Whamisa’s Organic Sea Kelp Mask? Completely blew us away. We were fortunate to discover Whamisa during one of our beauty-hunting trips in Korea. It’s a wonderful brand that prioritizes efficacious natural ingredients and they are truly passionate about the ingredients they source and the products they create. Their specialty is fermentation, which they’ve been doing since the early 90s, which helps to break down ingredients for better penetration and creates an environment where good microorganisms thrive, and thus less preservatives are needed. The Whamisa labs wanted to create a treatment using sea kelp, after hearing that female divers from Jeju island kept their skin soft by using this marine botanical. These divers, also called ‘haenyuh’, dive into the oceans daily to harvest pearls from the deep, and because of rigors of their profession, their skin can easily get rough and dry. Sea kelp is extremely nutrient and mineral dense, and Whamisa uses only pure 100% sea kelp for their sheet masks ($14/ sheet). Remove the white plastic backing before use! The sheet is drenched with ingredients like fermented Aloe Vera and sea kelp, and also Camelia Oil, Yuzu, Bamboo and Yam to help hydrate, brighten and tone skin. It’s been clinically tested for to hydrate skin for 72 hours after just one use and also visibly improves fine lines, uneven skin tone and texture. Whamisa products are also free of parabens, synthetic dyes and fragrances. 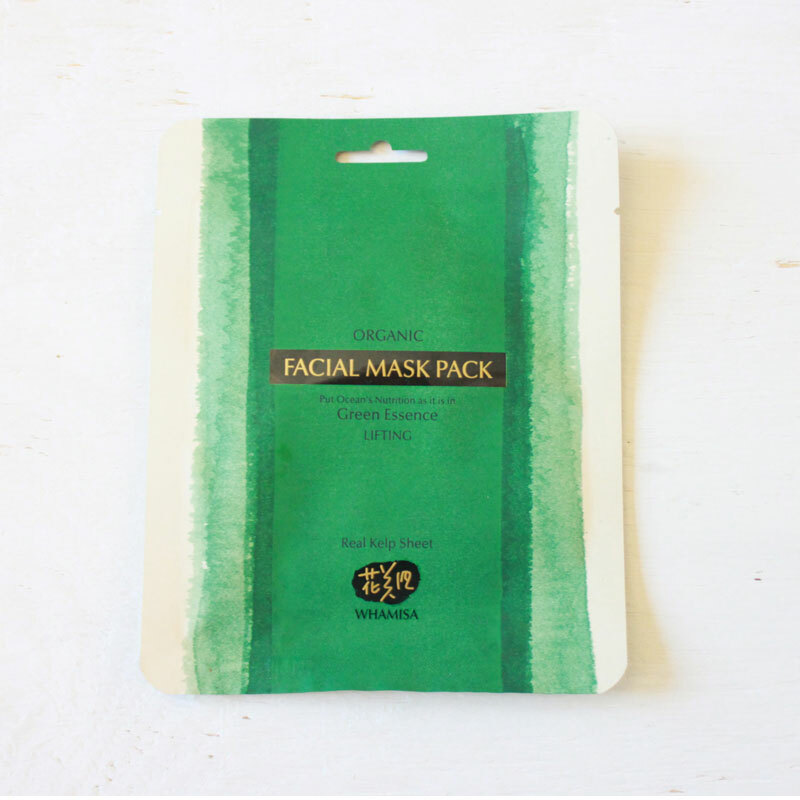 There are two sheets in every mask sachet – one for the upper part of the face and one for the lower. 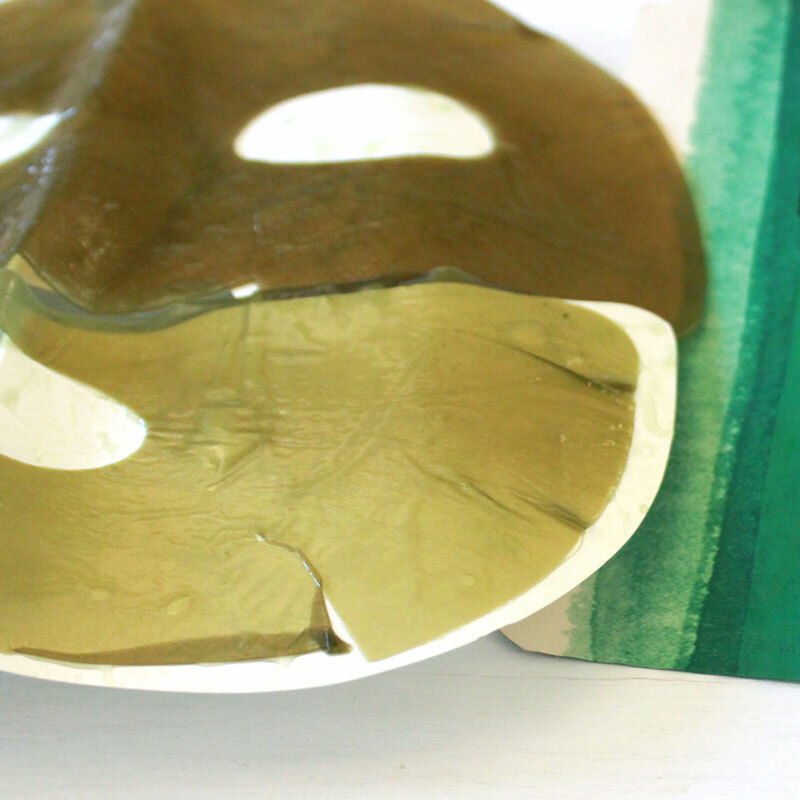 The sea kelp sheets adhere very well to the skin, and are remarkably refreshing and cooling. After 15~20 minutes, we saw that skin felt softer and noticeably glowing from this ocean-to-face treatment. These sheets are perfect for prepping for holiday-ready skin or even just an indulgent weekend at-home facial. 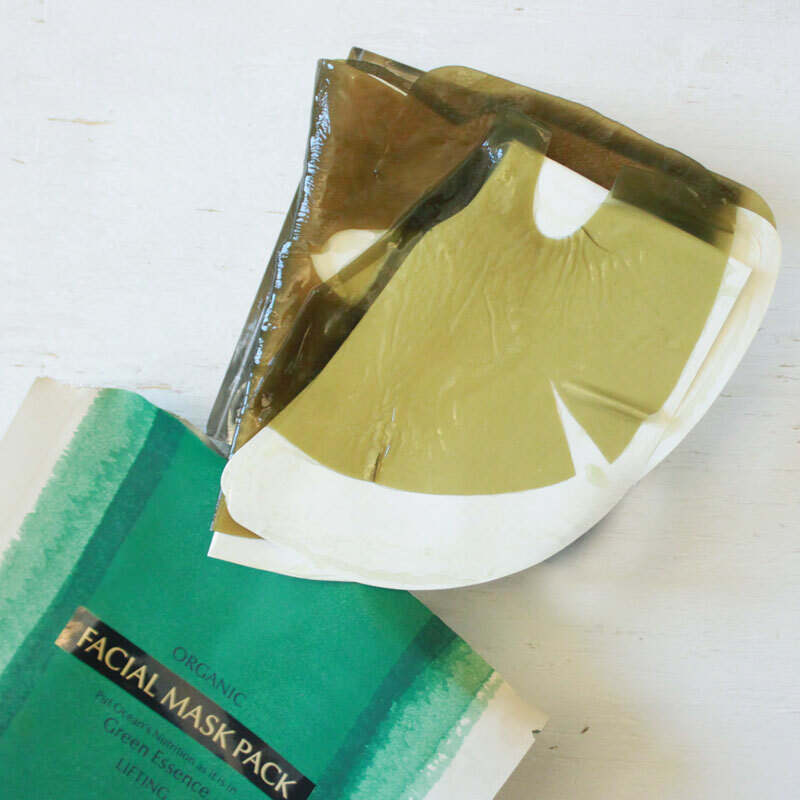 Want to be one of the first to try this next generation sheet mask? Need a little TLC to make sure your skin looks its best for the new year? Additional entries can be submitted by tweeting about our giveaway. The giveaway ends 12/31/2014 12:59 PM EST and the 12 winners will be announced on 1/1/2015. Reblogged this on the dancing pen.